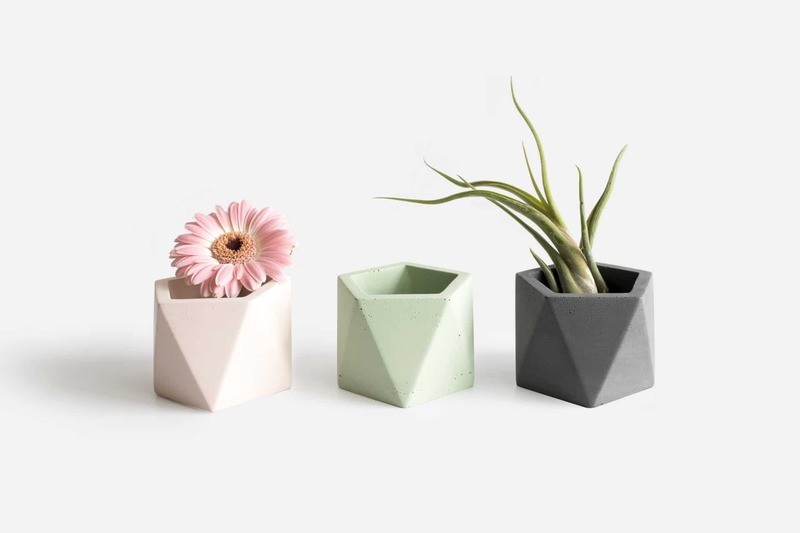 Since October 2017, we started creating our very own concrete interior objects without any background in product design whatsoever. 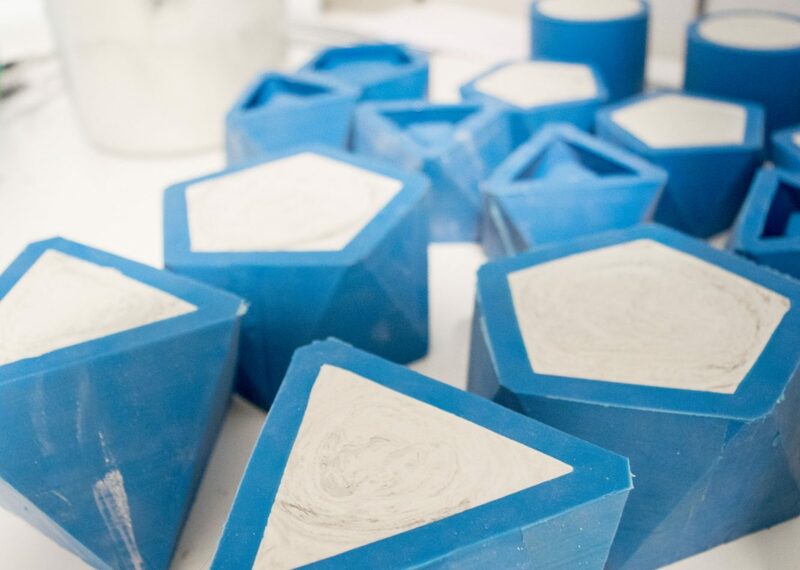 Designing, handcrafting and carefully packing our concretes: literally every step of the process was done by us in our atelier. Since January 2019, it all became a little bit (ready: way too much) work so our atelier moved to the amazing social workplace Mivas in Lier. These wonderful people are now also crafting and packing our products after a long & intensive but fun training! We are so proud that these people also got the chance to work on a real craftsmanship project! The final product breaths craftsmanship like nothing else we have done before. Every piece is a unique handmade addition to your home as there are no two objects the same. 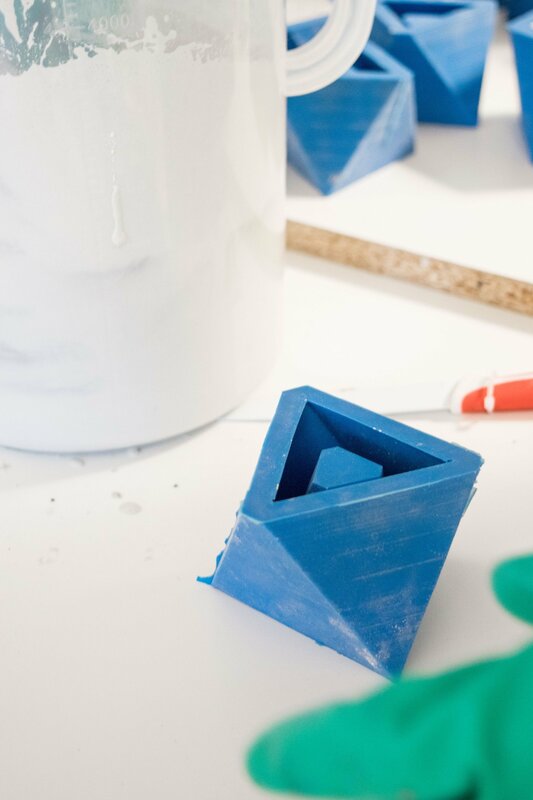 Everything starts with our experience in mold making. Yes, that’s right, while a lot of concrete products you may find, come out of standard mold catalogues, we use advanced techniques to create our very own high-quality molds. This enables us to have complete creative freedom about the forms we want to make. But it doesn’t stop there. Our passion for perfection has led to months of research and consulting with industry experts. The result: a custom developed, high-tech concrete mix with superior qualities. 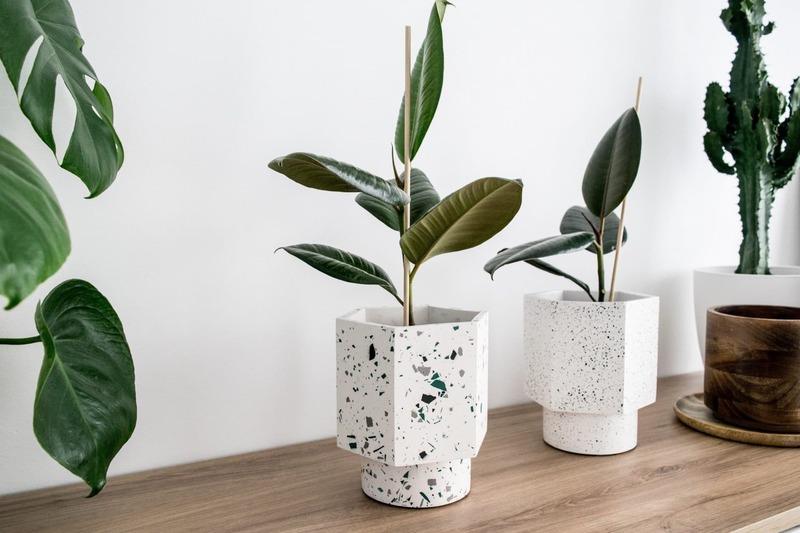 A great example of that is our addition of marble dust which not only makes the concrete stronger but is also a waste product of marble production which would normally be dumped into big piles, destroying the nature around it. 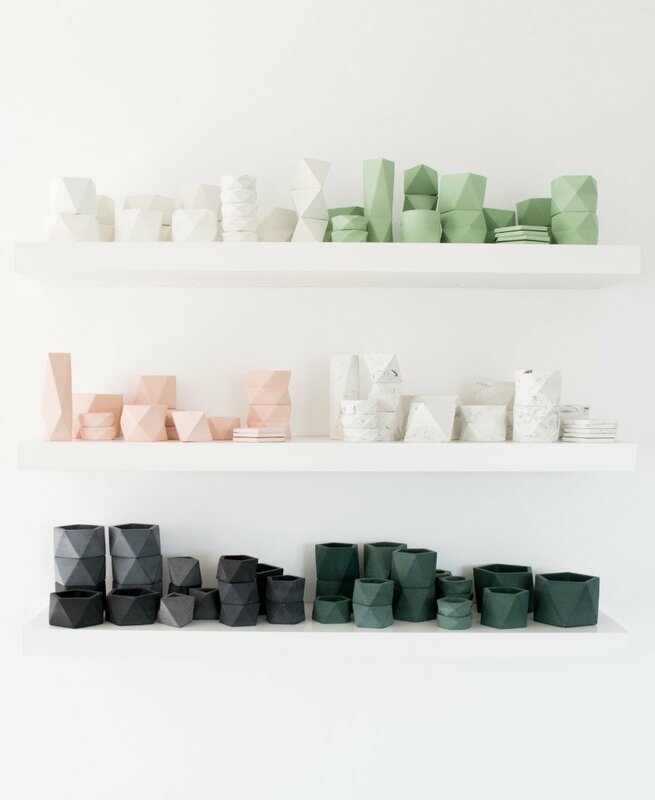 Natural ingredients like water and marble dust are carefully mixed with cement and upgraded with – among others- fine color pigments and reinforcing microfibers. 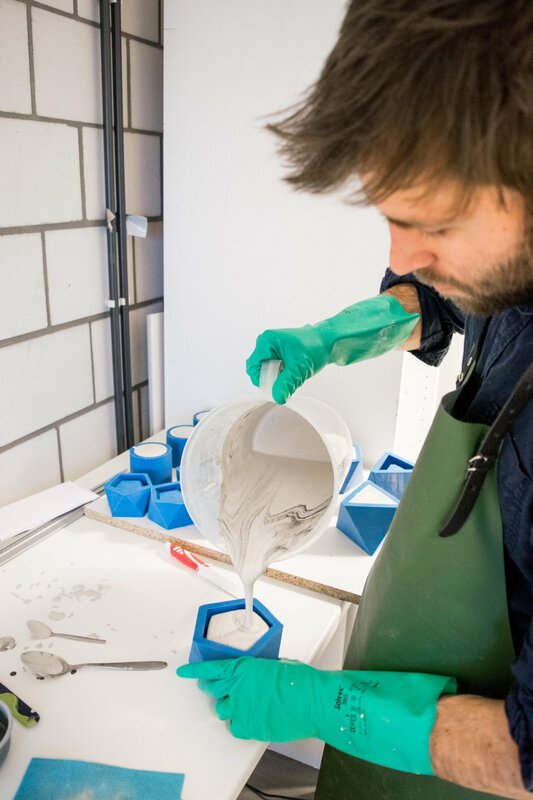 When the mix is just right, it is cast into our molds. Materials move until motion slows down and decides its final move. A capturing of the moment, of time itself. Every object we create, has its own look, randomly formed like a stone in nature. Unique simplicity. 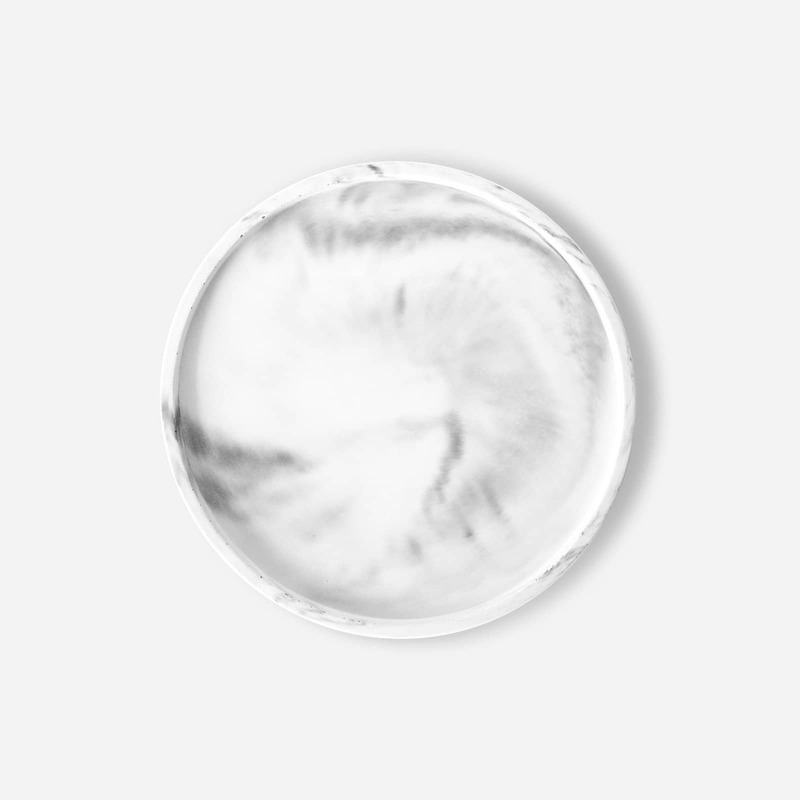 The final high-tech marble concrete objects, perfectly withstands both the heat of candle lights and arctic colds up to -30°C and are 100% waterproof (no leaks). Last but not least, we added something which is personally very important to us. Apart from upcycling some materials (the marble dust), we really want to do good for nature, help the environment. And with that we don’t mean some minor marketing based actions. No, with your help, we want to make a real and lasting contribution. Therefore, we plant one tree for every (!) single concrete object that is sold by us. Be it from our webshop or from a local brick and mortar store. Our concretes have the ability to create forests around the world which will improve the lives of countless animals and people living around them. So, we hope that you found this interesting and that you would like to see more of us. Therefore, we invite you to take a look at our collection here. Feel free to take a look at the whole site like e.g. points of sale or blog. We are sure that you will love our products as much as we do!